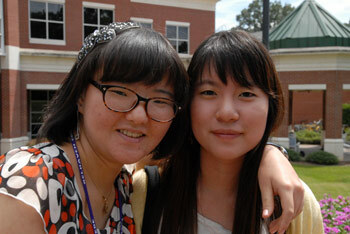 with a certified English translation of all course work mailed directly to Belhaven University. An appropriate school officer must authenticate these records. Academic records should include the dates of attendance, titles of courses, credits earned, detailed marks and an explanation of the marks or grading system. A catalog from each college or university attended, including course descriptions, would be helpful in the evaluation of college records. PHOTOCOPIES OF ORIGINAL RECORDS WILL NOT BE ACCEPTED UNLESS YOUR COLLEGE REGISTRAR HAS CERTIFIED THEM AS TRUE AND CORRECT IN ORIGINAL INK. Please note: If a student has been accepted but has not attended Belhaven University on that acceptance, the admit status is good for only one year.